Everyone loves a fresh pair of kicks, they make you feel good about yourself and can really add to your swagger. A pair of shoes can be very expensive though and this got us thinking, what are the top 10 most expensive shoes in the world? Jimmy Choo is one of the world’s most recognisable shoe designers, so it is not surprising that a pair of his high tops would go for $1571 a pair! We are not quite sure if these slippers are our cup of tea, they look rather like an unidentified creature on your feet. However, if this is your thing and you can pull it off – a pair of these will set you back $2250. Shoes by Rick Owens used to be in demand, so much so that an average price for them back in the day was $6000,however they have taken a slump since then and shoes by the designer are now much more reasonable. Back To The Future will no doubt be in a top 10 best movies of all-time list, and if not, it should be. This movie inspired the imagination of a generation and it took Nike decades to release the iconic self-lacing shoes in 2012. If you want to pick up a pair of these ultra-cool kicks they will cost you $28,000. Michael Jordan has made an almighty name for himself after retiring from basketball. It is in shoes that he has made his fortune, everyone in pop culture wants the newest pair of Jordan’s and this has sent the price of the brand through the roof. The most expensive pair ever sold went for $104,000. Weitzman is known for his extremely expensive shoes, the amount of diamonds on this shoe will take your breath away, as will the price! A pair will set you back $500,000 dollars. These shoes have 14,000 cut white diamonds totalling and awe inspiring 340 carats, and will set you back a cool $2 million. Harry Winston created this undoubtedly ionic pair of shoes that feature over 4,600 rubies and 50 carats of diamonds. 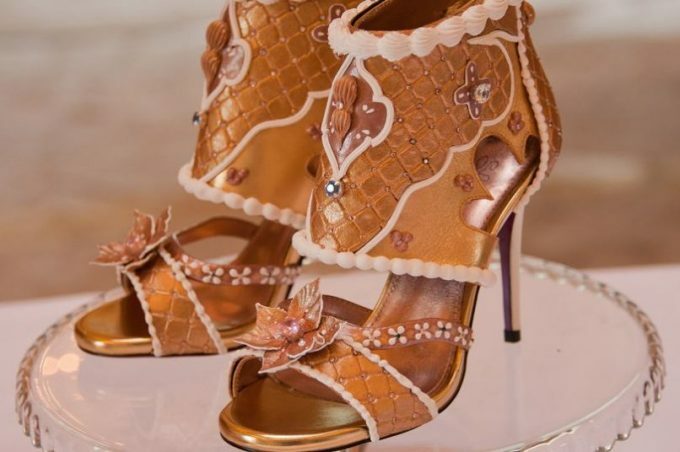 Made famous by the iconic shoes from the classic film and will cost you a click of the heels and $3 million. The most expensive shoe designer title goes to Debbie Wingham. These high heels are constructed with ultra-rare blue, and white diamonds that will set you back an astonishing 19.4 million dollars. Here we have looked at some of the most expensive shoes in the world. Some might say it is too extravagant, but we say that you can never have enough shoes, so why not make sure they make a statement! Hopefully we can afford a pair one day – we can dream.